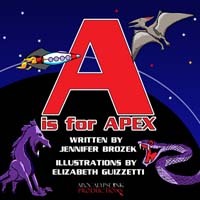 Apocalypse Ink Productions started our segment on Author Etiquette earlier this year and it has been a great success. AIP loves authors, we wouldn’t be in this business if we didn’t and we want to do our best to help support authors. Almost every author I’ve encountered has had a dream of being on the NYT Best Seller’s List and earning a six figure income. It does happen sometimes, but for the majority of writers, it’s a struggle to keep going forward. Most authors have to split their time between a day job that pays bills and the quest of writing the breakout story. Over time dreams begins to fade as the rejection pile grows and many authors begin to wonder if their stories are good enough and even if they should be an author in the first place. Being an author is possibly one of the most difficult occupations out there. If you ask for advice you will find there’s a thousand ways to write a story and none of them are right and none are wrong; every author follows a different path to success. What works for one won’t work for another. It’s difficult to point at a particular road a new or struggling author should take when they are feeling down. It’s normal to feel disappointed when you get a rejection. But sometimes it weighs on you. After a while many authors begin to feel as though they are imposters—people who pretend to be in an occupation. It’s a very common form of doubt that plagues many creatives. For many authors, it’s difficult to let other’s know that we are feeling down. Afterall, we get to play in these interesting worlds and let our characters do amazing things—what do we have to be sad about? Plenty, but we don’t have to hold it in. Confiding in a close friend, family member or even an open post on social media, can let others know that you are struggling. Establishing a support group is essential to help creatives handle the ups and downs of what we do. Sometimes we get so caught up in the process of creating, editing or rewriting, that we forget that there’s a lot more going on in the world. Take a night or weekend off away from your story and even the internet. Go outside for a long walk in the sun or go out with friends for a fun evening. Even a short break such as watching a show with friends or family can help set aside the disappointment and give you a new outlook. Sometimes you might even have to take a longer break. A short recharge might help for a little while but sometimes an author might need to set the writing aside for a week, a month or even longer, before they feel ready to face submissions and the results. It’s okay to feel you need a longer break. It’s necessary sometimes but don’t forget to come back. I know many authors who are creative in other fields as well. Some like to knit and crochet, while others draw or create jewelry. By changing your focus to another outlet, you sometimes get a different perspective on those rejections. You might just let your subconscious work out an issue or figure out what story will be next. If you aren’t sure you have other creative skills (and yes everyone does they just may not want to let other people see them) then volunteer for some slush or beta reading. Look at your own bookshelf for something you’ve not read yet. Stop worrying about your own writing for a little while. But sometimes talking with your support group or even taking a break doesn’t relieve the feelings of disappointment. Sometimes those feelings get deeper and darker. If you, a friend or relative, is dealing with more than simple disappointment, then it may be time to talk to a professional. Depression is a very serious health issue that can be helped by physicians and counselors. Sometimes medication is the answer. For others counseling makes a difference. Getting help is the first step to relieving that dark weight that looms over you. The bad news is we all suffer from disappointment at some point or another. The good news is, we’ve all been there before. It's official, Apocalypse Ink Productions will be at Portland, Oregon's OryCon 37 (Nov 20-22) in the dealers room. We'll have all our new books, including our signed, limited edition books from Dylan Birtolo and Peter M. Ball. Also, Jennifer Brozek will be on hand to sign her books as well as make an appearance at SFAuthorfest 9 on Nov 22, from 4-5pm at the Powell's Beaverton location. 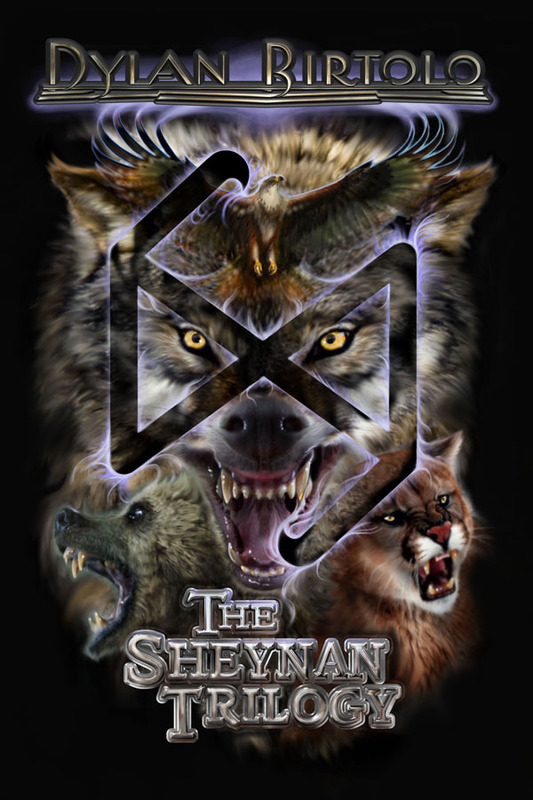 The Sheynan Trilogy Omnibus is Released! This dark urban fantasy adventure by Dylan Birtolo is an omnibus of three novels: The Shadow Chaser, The Bringer of War, and The Torn Soul, and features three new short stories. The Shadow Chaser: Darien Yost is a young man haunted by blackouts and vividly realistic dreams. When mysterious strangers start to appear, claiming that he has a power which makes him unique, he finds himself entangled in their world; a world of shape shifters. Soon, he is thrust into the middle of a centuries long war, and must master his ability before either side claims him... as an asset or a casualty. The Bringer of War: Months have passed, and the Arm of Gaia and the Shadows still struggle to control Darien’s destiny, attempting to use him to tip the balance of their war. But Darien has embraced his power. He and his allies have gone on the offensive, hunting down those who are trying to enslave him. Meanwhile, another renegade shifter has appeared, trying to pull Darien away from his friends for reasons of her own. The Torn Soul: Time is running out for Darien. As new players and new dangers enter the scene, Darien must confront his past, and convince the Arm of Gaia and the Shadows to work together against a new enemy—before his mind is lost to the Sheynan’s curse.